A couple of month’s ago I happened upon a copy of A Dictionary of British Folk-Lore by Alice Gomme, a classic work on childlore. Flicking through the comfortingly thick and musty-smelling pages, it’s interesting that many of the games are ones – or at least variants of – I remember from my own childhood. 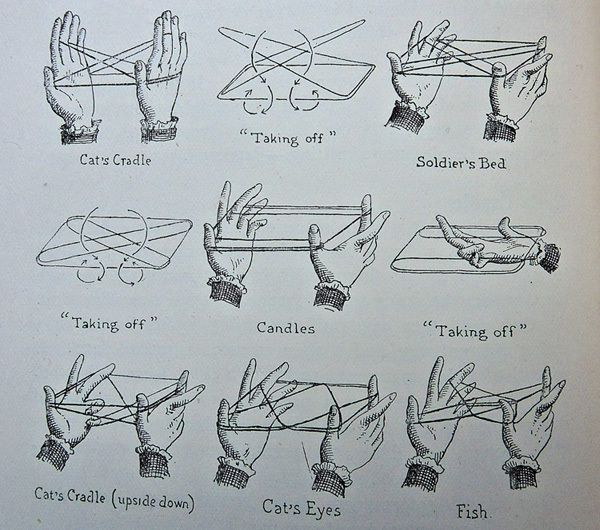 As well as universal favourites like ‘Cat’s Cradle’ (a game, Gomme notes, ‘known to savage peoples’) and ‘Blind Man’s Buff’, Gomme dedicates several pages to ‘Hide and Seek’, surely one of the classic, perennial childhood amusements. What, though, I had no idea about was the large numbers of associated localised rhymes and rules surrounding how it was formerly played. In Scotland for instance, Gomme states, the game was called ‘Hopsy’ and played only by boys, while in Leicestershire it was called ‘Hide and Wink’, and in Dorset ‘Hidy Buck’. In a Proustian moment I now recall ‘British Bulldog’: I can’t remember exactly how we played the game, but I do recall it having a tendency towards increasing roughness, leading to it eventually becoming banned at my Lincolnshire primary school. Sadly though, it doesn’t appear to be included in Gomme’s book – at least not under the name I remember. And at this point the limitation of owning only Volume I becomes apparent, as I now also have a desire to check if ‘Stuck in the Mud’ (which my partner recalls as being called ‘Stick-in-the-Mud’ at her Leicester school) also appears in Volume II – another game that suddenly comes back to me out of nowhere. 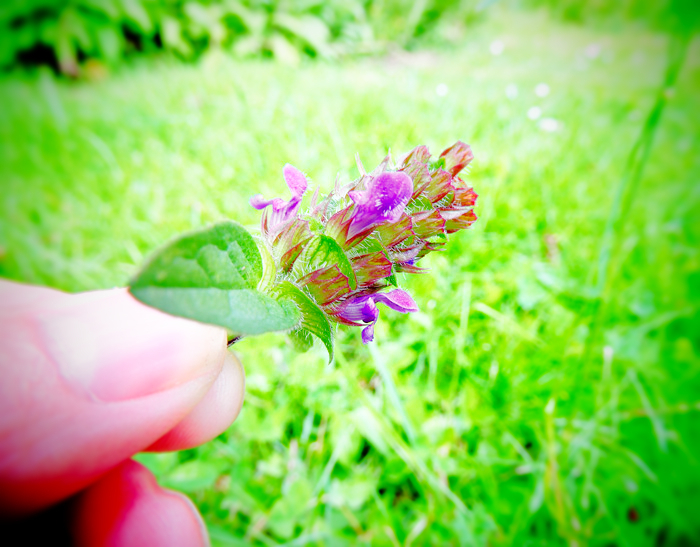 I look at the seed head I’ve been presented with. ‘It’s a hen!’ she says. 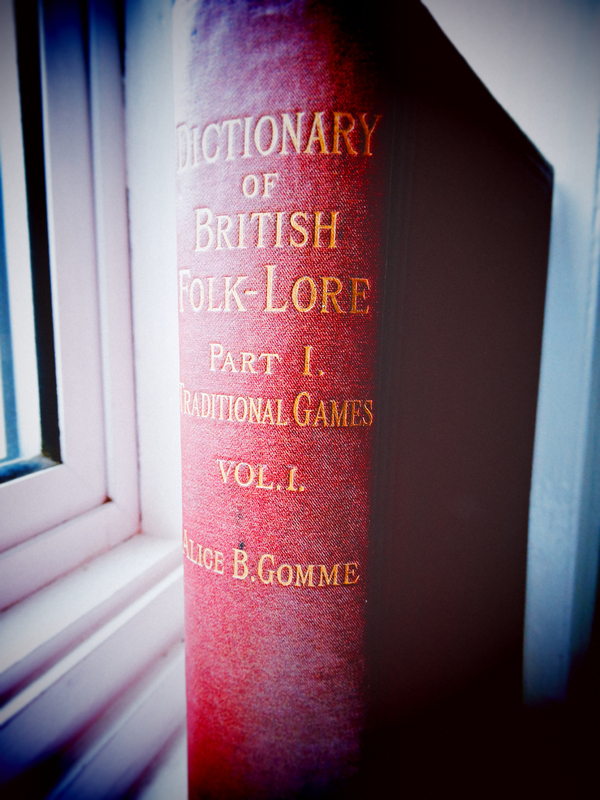 Alice Gomme’s A Dictionary of British Folk-Lore: Part I is a classic work on traditional games, which deserves greater attention today. It offers a fascinating insight into the esoteric world of childlore, and presents a compelling snapshot of the late-Victorian era. Boyes, Georgina (2001). 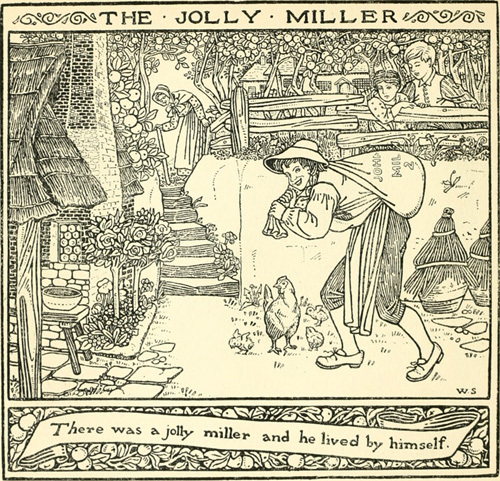 A Proper Limitation: Stereotypes of Alice Gomme. Musical Traditions Internet Magazine. See: www.mustrad.org.uk/articles/gomme.htm [accessed 29 May 2016]. 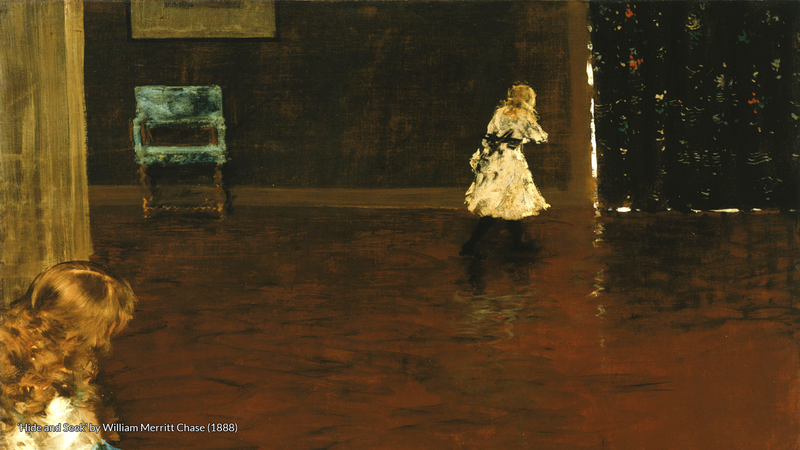 Gomme, Alice (1894). 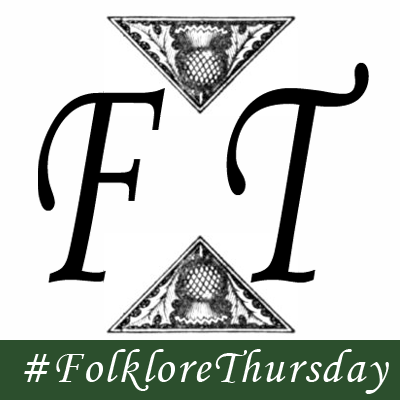 Dictionary of British Folk-Lore, Part I: Traditional Games. 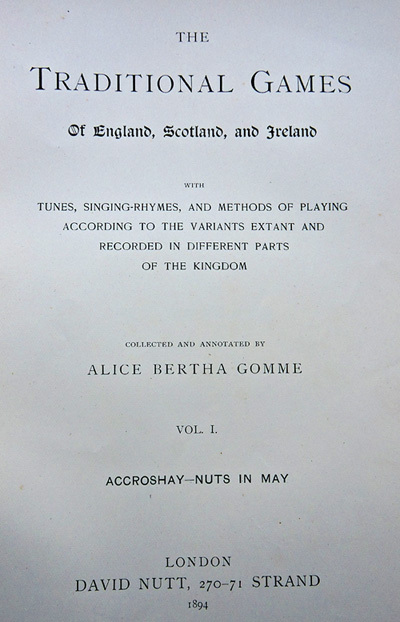 Volume I: Accroshay–Nuts in May. London, David Nutt. Gomme, Robert (online edn, May 2006). ‘Gomme, Alice Bertha, Lady Gomme (1853–1938)’, Oxford Dictionary of National Biography. Oxford, Oxford University Press. See: www.oxforddnb.com/view/article/38616 [accessed 29 May 2016]. Gomme, Robert (2004). ‘Gomme, Sir (George) Laurence (1853–1916)’, Oxford Dictionary of National Biography. Oxford, Oxford University Press. See: www.oxforddnb.com/view/article/38616 [accessed 29 May 2016]. 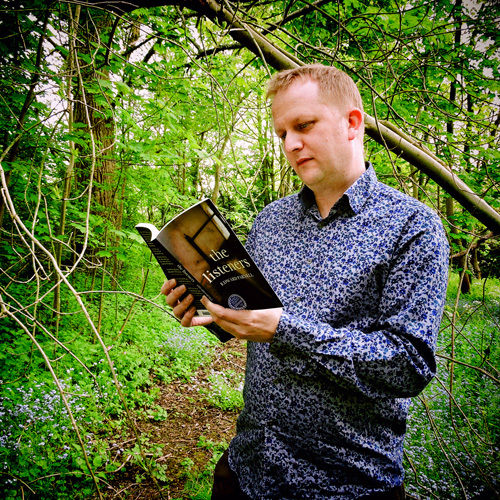 no, ‘Stuck-in-the-Mud’ isn’t in Gomme vol 2! That’s lovely Ed – do love stumbling on a book I’ve been looking for in a second-hand shop! It is a shame Stuck-in-the-Mud isn’t there though, as it’s one I remember well, and would love to know the origins. We’ll all have to keep an eye out for more about it each Thursday!